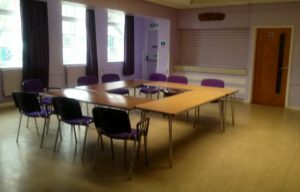 This Room is light and airy, situated on the ground floor with good disabled access. It is ideal for all types of meetings, training sessions, mini-conferences and workshops. It is also a great venue for activities and parties. Capacity: Lecture Style = 40. Board / Class Room Style = 20. Standing = 60. 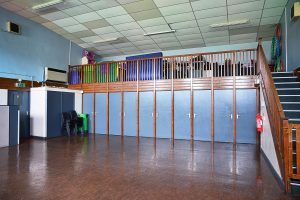 Our hall is available for hire and is suitable for sports, dance, theatre or craft workshops. Or anything else you can think of! The kitchen is available for use if you rent one of our rooms or if you host a pool party. There is a microwave, an oven, fridge and hot and cold running water. 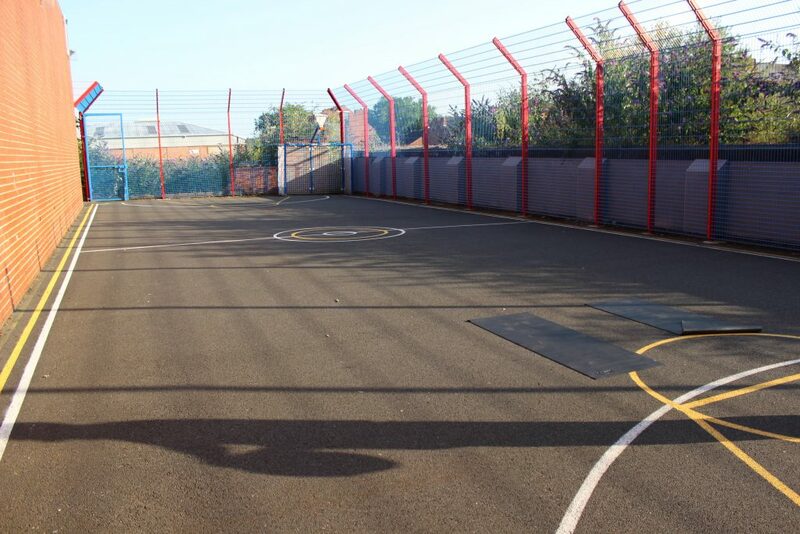 We have a large Multi Use Games Area (MUGA) at the rear of the Centre. Contact us to find out more about hiring it. Rooms can be booked as a group for larger and special events. For example, if you are running a training session then you could use Room 1 as your main training room with Rooms 2 & 3 and ‘break out rooms’. We’ve even hosted overnight events. Please contact us if you would like more information or to make a booking. 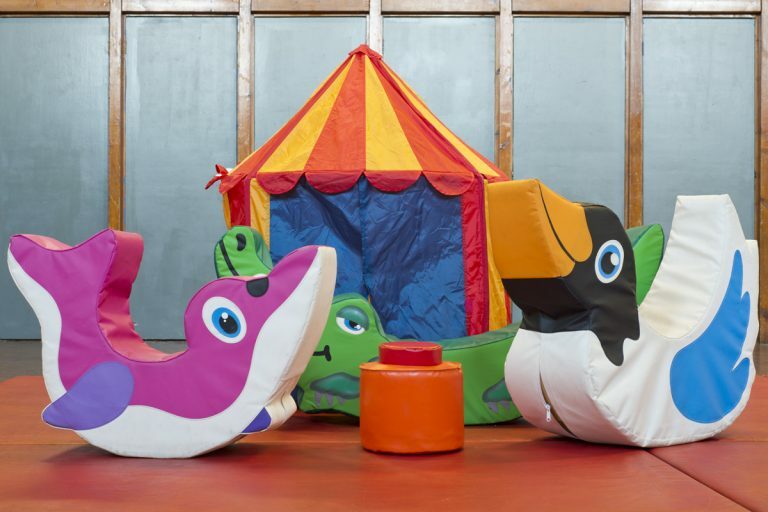 We have a wide range of soft play equipment perfect for hosting a party for little ones, from £89.00. 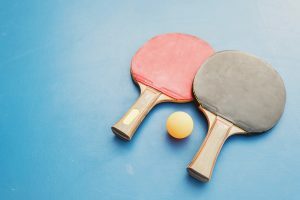 Hire our hall and table tennis table from only £4.00 per hour. We have a range of offices to rent and space for storage. Contact us for more information.